October 2011 | Free Pc to Phone Calls, Free Voip Calls to India International ! If you are following Free Pc to Phone Calls, then you need not to worry about your phone bills. We will always keep you updated with latest cheap and free calling offers. We hope you have made use of ongoing Rebtel Double money and Localphone Triple money offer. Today we will discuss about AirtouchLinks. Airtouchlinks, just like other voip providers is offering cheap international calls at affordable prices. Airtouchlinks promises to provide best call quality. The best part about this Airtouchlinks is Free $1 trial calling credit. Airtouchlinks has its own call switching network connected with major tier carriers offering sound quality in voice call. The free credit will lasts for about 15-20 minutes to call Pakistan, Bangladesh. 1. Cheap calling rates : Call India at 2.28 cents per min. You free $ credit will lasts for approx 43 minutes. 2. Per second billing system. 4. No expiry of credit. Apart from this, Airtouchlinks offer Pc to Phone Call Services, DID Call forwarding, Mobile VoIP Softphones for iPhone, Android, Windows Mobile, Symbian as well as for Blackberry Smartphones. 2. Enter all your information and click on sign up now. 3. Check your email to change your temporary password and you are done. 5. Dial your country code. 6. Dial the number you want to call. 7. Press # then wait for the dialing tone. 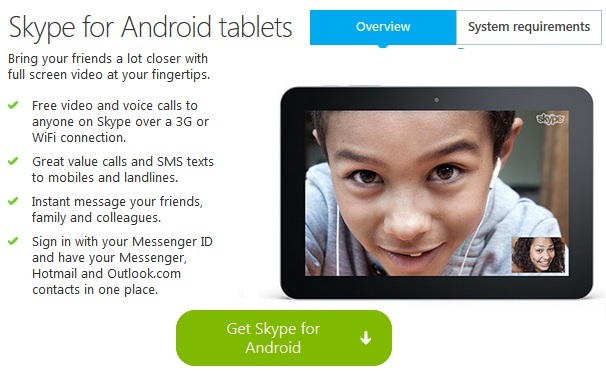 I will try AirtouchLinks on my Android mobile and then let you all know about the call quality. If you are looking for free calls, then I would suggest trying AirtouchLinks with free calling credit. For more information, please visit Airtouchlinks. A lot of people use betamax for making international calls. Betamax is specially very popular among middle east users who make calls to India. FreeCall, Rynga, ActionVoip, Voipbuster are very popular among users because of their cheap international rates. I would any day prefer Localphone or Rebtel over betamax services, however many people are still stick of its service mainly because it woks for them like charm and offcourse cheap rates. With the smartphones making its mark and everyone trying a smartphone, Betamax (FreeCall) has taken a step forward by launching its Nokia app (Application for Symbian mobiles). Betamax already provides app for iPhone, iPad, Android Mobiles, Windows Mobile. I see the market going in right direction with every other voip provider offering its mobile voip application. After Pc to Phone calls, its now the trend for Phone to Phone calls : mobile voip. By launching its Nokia mobile application, betamax is targeting the large number of Nokia users, which I believe is a very good decision! (Nokia still holds a very large number of users and many of them are its lifetime users who won't switch to Android or iPhone). If you are using a Nokia Smartphone, and a betamax user then its worth trying Betamax Nokia Application. iCall is very popular among the voip users. And now iCall has launched its new communication and messaging platform, iCall 7 Beta. iCall is widely used by people to make and receive free phone calls through their mobile phones and Pc. iCall has taken a step forward by offering HD video calling, messaging via its new iCall7 beta. iCall 7 Beta runs on any PC, Mac or Linux desktop. iCall 7 is a communication hub as it integrates voice, video and messaging functionality. 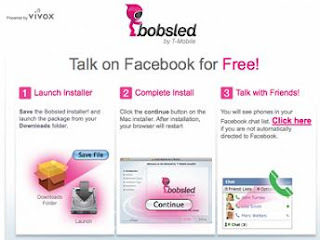 It also allows users to communicate with friends other social websites like Facebook, Yahoo Messenger, Gtalk etc. In order to enjoy all these voice and HD video services, you are required to register with iCall, then you can download the iCall client on your PC or your mobile phone. iCall7 beta is an integrated communications solution that enables people to talk freely across various communication channels. Lets now directly jump to some of the nice features of this new product : iCall7. iCall HD Free Video Calling : iCall's HD video calling software runs on any computer and the video calling experience is just amazing. Free multi-protocol messaging through iCall IM : It allows iCall users to send message to all for free, yeah you can even send message to non iCall users (US) for free. Free and Cheap International Calls : iCall users can make free calls to iCall users. Also the calls make to any number is US or Canada is free. The calls made to other destinations (international calls) are charged at very nominal rates. iCall does not have any hidden charges and fees. Free access numbers - Similar providers make customers purchase an online number to make and receive calls, but access numbers from iCall are free, and include complimentary voicemail. And depending on the calling plan selected, customers can also receive a private phone number for only $2. Interactive, downloadable apps - iCall proves that real-time sharing and exchange goes well beyond video calling through interactive apps that run within the iCall 7 Beta interface, like iCall Reader. The company has also opened its network to other developers to further enhance its services and enable a new generation of VoIP applications. Business collaboration tools - Complimentary business tools, including complete conference calling services, let businesses and individuals collaborate with groups, present ideas, and save money. The standing out feature of this new iCall software (iCall7) is Free HD video Calling. Time to try iCall7 beta and please let us know your review on this new iCall product. With smartphones and tablets taking over the market, mobile voip is replacing telecom providers. So many different voip providers are coming forward with their app for android, iphone, blackberry and nokia mobiles. These mobile voip application enables users to talk to each other for free. Today we will discuss about another such mobile voip application : WowTalk. Wowtalk is available for free download for iPhone, Android Mobiles. Wowtalk is a cross platform mobile voip application. iPhone version is available for download now and android version will be activated soon. When you use WowTalk, your phone calls and text messages to any other WowTalk users are free! Your phone bill will be reduced for sure. When you use WowTalk on a 3G network you might incur operator data charges or internet access fees. The best thing about Wowtalk and many other similar applications is that you don't need to add contacts in wowtalk. It just uses your address book (already contact list) to check which of your friend is already using wowtalk. When you make call (regular calls), if the person is already using WowTalk then call will be free, otherwise it will be a regular telecom call. Wowtalk also have this concept of status. Status is like a built-in twitter in WowTalk. You can know your friends real-time conditions by checking his status. iPhone: WowTalk works iPhone Models: 3G, 3GS and 4, with IOS: 3.0 and newer. iPod touch and iPad (latest generations) are partially supported. Android: A version for Android devices is in the works. With wowtalk, you don’t even need to register! WowTalk uses your phone number as your “identity” and lets you make free WowTalk phone calls to any of your friends that have WowTalk- using THEIR phone number. Another good thing is that WowTalk is ad free. So if you have an iPhone, then its time to try WowTalk. Rebtel is already world's second largest voip provider (after Skype) and its customer base is still increasing very fast. Many people including a lot of our blog readers use Rebtel as their primary voip service for all their international and national calls. The good thing about them is that they think about both old and new customers. Not only they keep on bringing new promotions to attract new customers but keep on lowering the calling rates. In the past, we at FPPC Blog have run several successful exclusive promotions with Rebtel. Its free calls to Philippines, free minutes to Pakistan or the 100% bonus offer, all were very big hit. Many people have mailed us asking for more such promotions and here we are with a new promotional offer. With this special promotion, Rebtel is offering Free 30 mins calls anywhere in the world, which includes India. Yes, this means you can make use of this exclusive promotional offer and get Free 30 Minutes to Call India or for that matter any other country in the world. - During the registration process, use the voucher code "pctophone30"
- Get Free 30 Minutes to anywhere in world. - This offer works for almost all countries, worldwide including the popular destinations like India, Pakistan, Nigeria, Bangladesh, USA, Canada etc. If you have joined their service and used your 30 free minutes, you must have realized that it is one of the best service in terms of call quality, ease of use and customer support. That's not all it offers very competitive international rates as well. It has been rated as one of the best voip providers to call India. Feel free to distribute the link to your friends as well and they will also get Free 30 Minutes at the sign up. Using Rebtel is very easy and just like any other voip provider. Try it out with the free minutes you get. - You can make use of Rebtel Softphone (its PC application for making calls). - If you have a smartphone, then use its application for smartphones (iPhone, Android, Blackberry, Windows mobile). - If you don't have smartphone, then you can use the local access number method. You can ask Rebtel to give you a local number for each of your international contact. Just dial that local number (and international call will get connected). - Make use of Rebtel Computer Calls Method for making phone calls. Still not satisfied, check some of the top reasons you should try Rebtel Voip Service. - Rated as number one voip provider by many blogs and surveys. - It already has a huge customer base, which indirectly means that people trust them and widely use them. - Excellent voice quality. If you are paying money for using them, you are then getting the desired quality. Its quite worth of their service. - Good customer support. This is a major factor. - Highly competitive international calling rates. Way better than Skype. - You only pay for the time you talk, with no monthly plans or subscriptions. No connection or hang-up fees. Nothing but honest calling rates. - Rebtel Free International calls : To make a Rebtel Free Call, simply call your friend using the local number you got from Rebtel. When they pick up, ask them to hang up and call you back while you stay on the line. You see, when you call a friend in one of the 50 countries where Rebtel is available, a number that is local to your friend is displayed on their phone. When they call you back up, the call is instantly connected and you can talk for as long as you like. For free. Your operator might charge for the call, but if you have local minutes included in your plan, you don’t pay anything for the local part of the call. Its the festive month of Dussehra and Diwali. Many NRI (Indians living abroad) come to India to celebrate this festival, rest just call everyone in their family and friends to wish them. Its the time when your phone bills go high up! 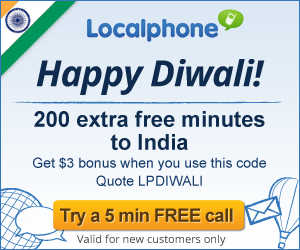 But wait, we have the best offer till date : LocalPhone Diwali Offer. Localphone is offering Free 3$ Bonus Credit on purchase of $1 credit. Info about this Localphone Offer : Localphone Diwali Promotion. 200 extra free minutes to India by Localphone. This is additional minutes apart from your purchased credit. When a new user signs up to Localphone and adds $1 credit for the first time, Localphone will give you a $3 bonus! 3. When you buy credit from Localphone (as low as $1 - click add credit then other). Enter the voucher code LPDIWALI. 4. You will get additional credit worth $3. This Localphone offer is by far the best offer I have seen in recent times. Buying just $1 credit will entitle you for 3$ credit : that is you will get $4 credit (total). Your effective calling rate to India will be just 0.04 cents per min (less than half a cent). a) No expiry of credit : this is a very useful feature. c) So many ways to make calls : Pc to Phone, Phone to Phone, local access numbers etc. d) Time to time promotions. f) Very easy to use. This offer means that you will get additional Free $3 bonus credit. You can use this credit to call any country (India or any other). Basically this $3 credit is equivalent to 200 minutes (200 Free Minutes). Please note that this Localphone Diwali Promotion will expire on 31st October 2011. So make most use of it now. Try Localphone.